I bought 2 corn fed chickens on Saturday and they have been giving me sleepless nights, wondering what to do with them. 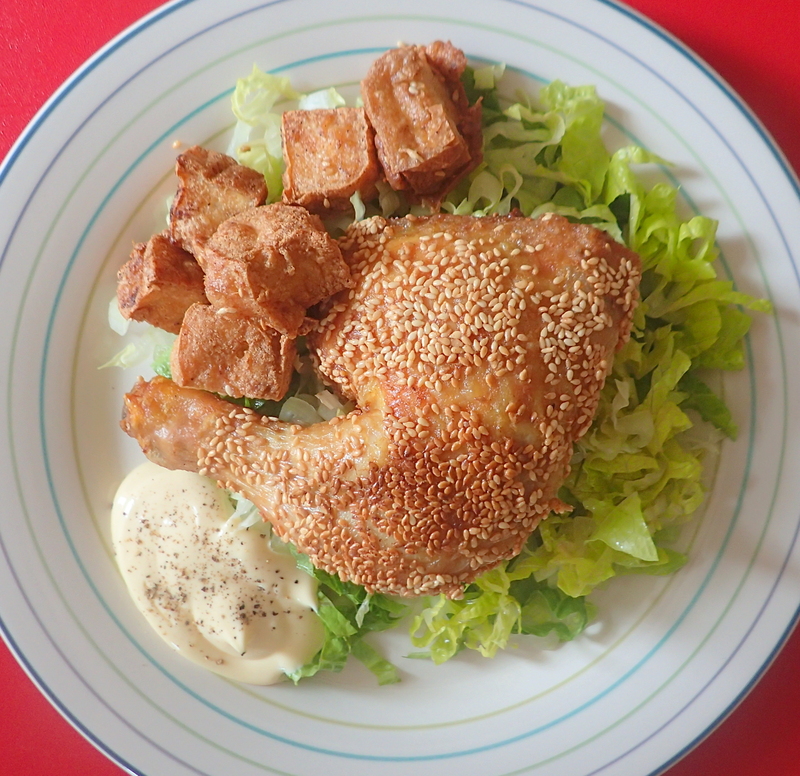 Hubby requested for Cantonese roast chicken so I marinated one for Friday. However I felt like frying today so I woke up at the crack of dawn. 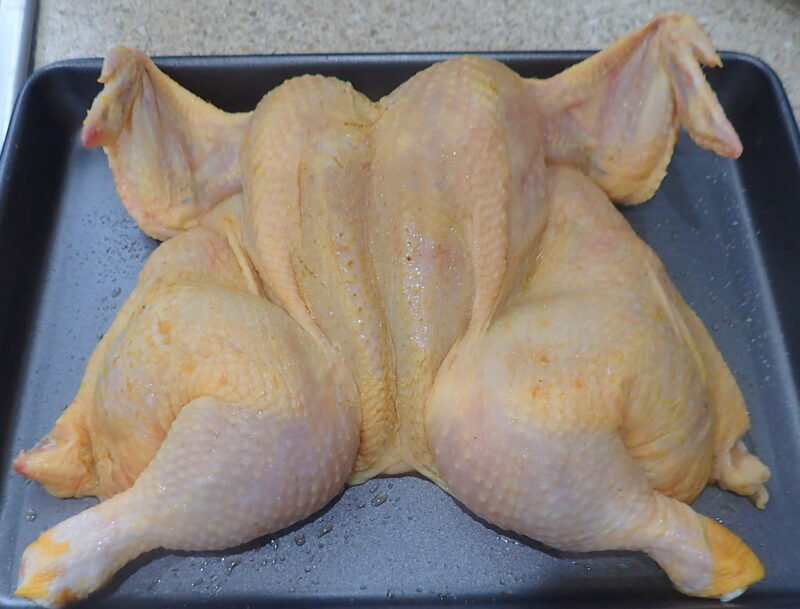 Washed the chicken with salt, rinsed and cut one chicken to form into “pipa” shape, or butterfly shape, and seasoned with marinate quickly because I wanted to marinate for a good 6 hours before cooking. This is to ensure that the taste permeates the chicken. 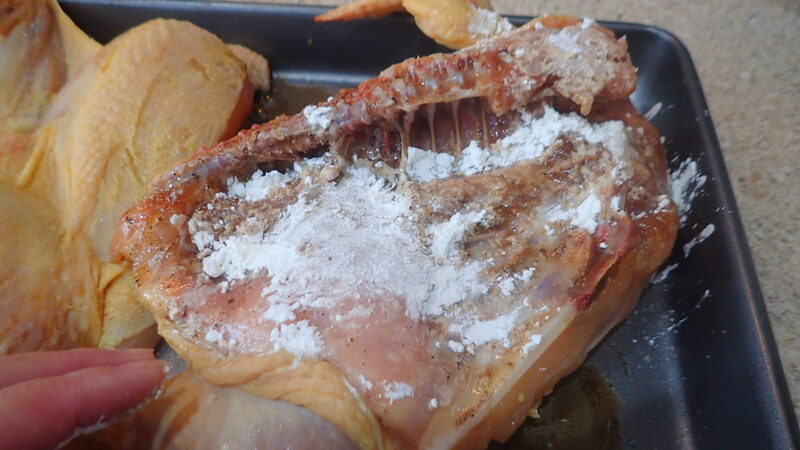 Washed the chicken with salt, rinse and pat dry with kitchen towels. 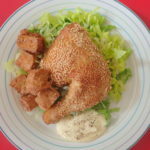 Cut the chicken to form into “pipa” shape, or butterfly shape. Season with marinate for a good 6 hours before cooking. Use one tbsp of rice wine on each side. Before frying brush beaten egg all over the marinated chicken skin. 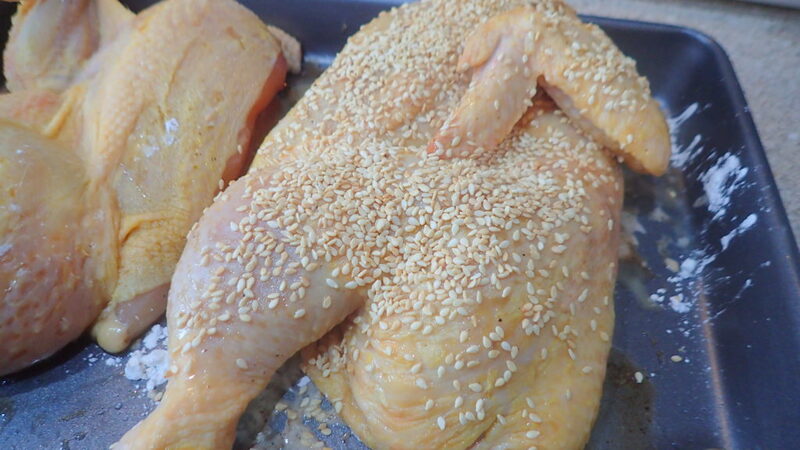 Sprinkle liberally with sesame seeds. 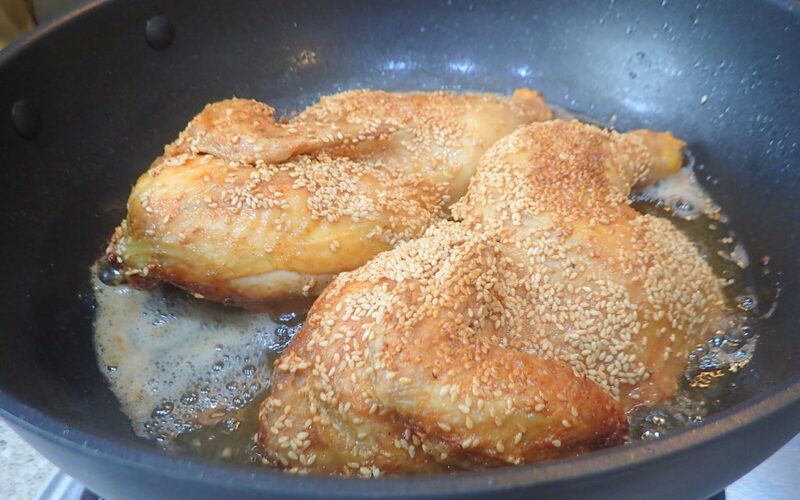 Fry the chicken in hot oil over medium high heat until cook or golden brown in colour. Remove and serve. 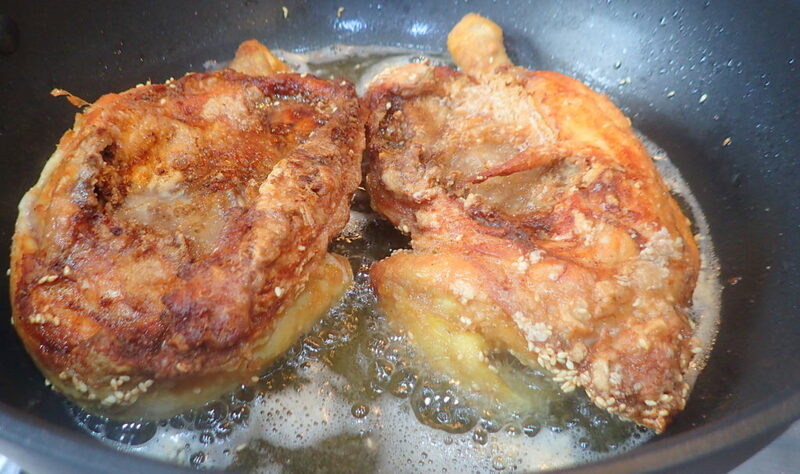 It is best to fry chicken from room temperature. 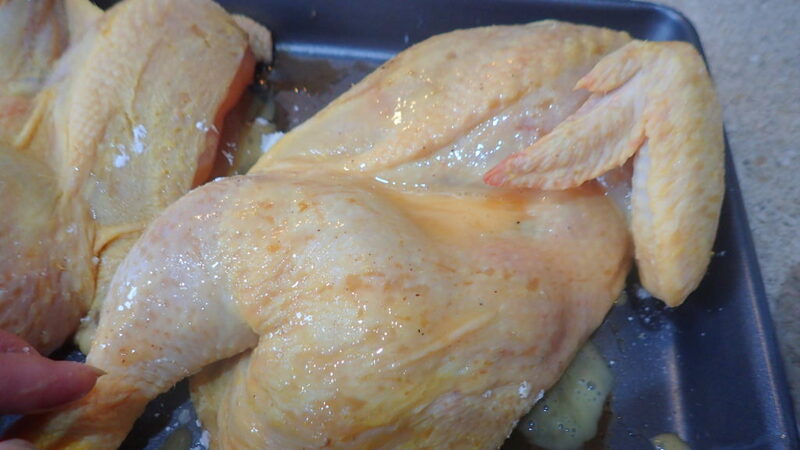 If your kitchen is hot you have to marinate your chicken in the fridge then bring it out to rest to room temperature for a couple of hours before frying. Serve with any sauce of your choice and any types of salads and vegetables. I happened to have some toufo so I used the same oil to deep fry the marinated toufo cubes till crispy.